Time is ever present in consumer behaviour spanning both short and long term, past and future, chronological time and experienced time. My research focuses on consumer temporality in a number of contexts: such as mobility (tourism, commuting, or migration), nostalgia, branding, technologies such as mobile phones or robotics, sustainablility and climate change, food consumption, or friendship. My research is inspired by the philosophy of time, drawing on thinkers such as Heidegger, Husserl, Merleu-Ponty, Koselleck, Giddens, Bourdieu and Foucault, but implements these conceptual insights using sociocultural methods from anthropology and sociology. German (can read, write, speak and understand spoken). 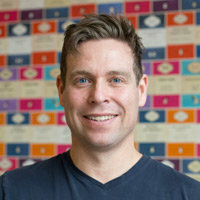 Derek Robinson, T. (2015). Chronos and Kairos: Multiple Futures and Damaged Consumption Meaning. Research in Consumer Behavior (pp. 129–154). Emerald Group Publishing Limited. ISBN 978-1-78560-323-5. Robinson, T.D. and Chelekis, J.A. (2016). Dying to consume: Marketing and the existentialization of sustainability. Murray, J.B., Brokalaki, Z., Bhogal-Nair, A., Cermin, A., Chelekis, J., Cocker, H. … Zuniga, M.A. (2018). Toward a processual theory of transformation. Journal of Business Research. doi:10.1016/j.jbusres.2018.12.025 .